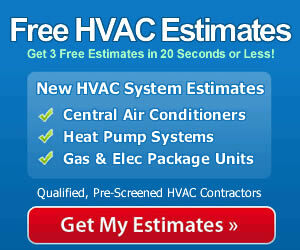 Our thanks go out to all of you who have shared your HVAC buying experience with other readers. It is always good to compare notes before you make a major heating and cooling purchase, so check out our HVAC Prices articles for the latest on current pricing for equipment and installation. This post was sent from Jackson, Michigan by Beth and it covers a subject we know many of you can relate to. “We moved for work purposes last year and now live 3 hours away from my Mom in Ohio. She is in her early 80’s and I worry about her a lot. She loves where she lives and won’t consider moving closer to us. So, we do all we can to make sure she’s okay. This past summer we offered to replace her “ancient” furnace and she agreed to let us. While there for a few weeks I handled all the details. My main purpose was to find the most reliable gas furnace available, and one that was very fuel efficient to cut down on Mom’s utility bills. After hours of research and lots of phone calls I settled on the Amana GKS9 Distinctions. For starters, it is highly rated for performance and durability. Plus, the 92% efficiency should cut utility costs by at least 15-17% over the unit we replaced. Two months into this winter that’s exactly what it is doing. Mom is on a fixed income and so she’s happy about that, as I am. Offered in various sizes and we have some ballpark pre-tax pricing for you: 46,000 Btu ($769), 69,000 Btu ($799), 92,000 Btu ($899) and 115,000 Btu ($1,099). They can be slightly more if you choose a larger blower motor. The Amana GKS9 Distinctions is also known as the Goodman GKS9. As Beth mentioned, the Amana GKS9 Distinctions enjoys a good service rating. These furnaces are also quite affordable while reducing energy costs. As with any furnace installation, we recommend you use a qualified contractor to allow you to get the most comfort and fuel efficiency out of the model you select.